"When most people think of a holiday in Africa, they picture heading out into the deep dark jungle full of gorillas or the wide-open steppe full of lions, tigers, rhinos and giraffes for an African safari. While that option is certainly available, it would be good to expand your thinking to include the pampering, comfort to be found at hundreds of Africa resorts and thousands of luxury hotels in Africa. The good news about travel to Africa is that thanks to Eurobookings.com it just got easier. Eurobookings.com lists the best hotels in Africa, telling you everything you need to know about each one so you can make your choice with confidence. With Eurobookings.com’s customer reviews, photos, Google-powered maps, exhaustive lists of amenities, easy to use reservation system and amazing prices, much of the guess work has been taken out of Africa travel. 5 star hotels in Africa can mean anything from the Sofitel Cairo El Gezirah in Cairo, Egypt to the African Pride Tribe Hotel in Nairobi, Kenya to the Colona Castle Hotel in Cape Town, South Africa. When you stay in the Serena hotels, Africa can be experienced from the comfort of 32 luxury resorts, safari lodges and hotels, which are located in East African countries like Kenya, Tanzania and Rwanda. When you use Eurobookings.com, hotels in Africa can be found in cities ranging from great metropolitan areas like Lagos, Nigeria to more exotic locales, like Bamako, Mali and Fes, Morocco. If you’re considering a honeymoon in Africa, there are many honeymoon packages available in Africa luxury hotels that can make your special time romantic and economically attractive. 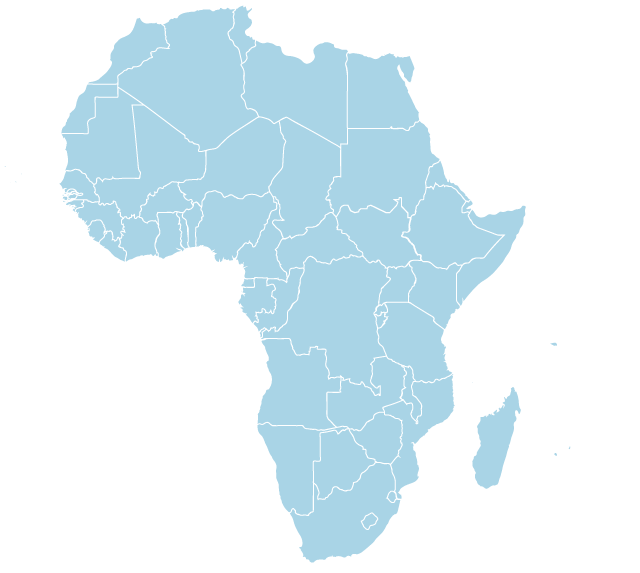 Africa hotels can also be found in Algeria, Angola, Benin, Burkina Faso, Burundi, Cameroon, Cote d'Ivoire, Equatorial Guinea, Ethiopia, Gabon, Gambia, Ghana, Guinea, Libya, Malawi, Mali, the Republic of Congo, Senegal, Sudan, Swaziland, Tanzania, Togo, Tunisia, Uganda, the islands of Cape Verde and Madagascar and the south African countries of Namibia, Botswana, Zimbabwe and Mozambique. Of course, if you want your honeymoon to be really romantic – or your holiday to be really memorable, there are the islands to the east of Africa, dotting the Indian Ocean. Indian Ocean vacations can open up worlds that feel a million miles away from everything, worlds full of azure-colored water, white sand beaches and palm trees blowing lazily in the breeze… not to mention some of the best hotels in the world. It’s no wonder that Indian Ocean tourism has gotten so popular. Just like in Africa, one of the best ways to browse through all the available Indian Ocean resorts is to use Eurobookings.com. Here you’ll find hotels and premium resorts on the beaches of many islands in the Indian Ocean. So experience the untouched beaches and total tranquility of the 115 islands making up the Seychelles. Experience the wide variety of delicious fish served with breadfruit and cooked bananas in São Tomé and Príncipe. Experience the misty mountains found along nearly one thousand kilometers of hiking trails on Reunion and fishing for Black Marlin, Sailfish, Wahoo, Yellow fin Tuna, Giant Trevally, Dogtooth Tuna, Bonito and Dolphinfish off the coast of Mauritius. "